A Welsh doctor, Sir Hans Sloane, and the disappearing catheter! In 1720, Dr Alban Thomas was something of a high-flyer. 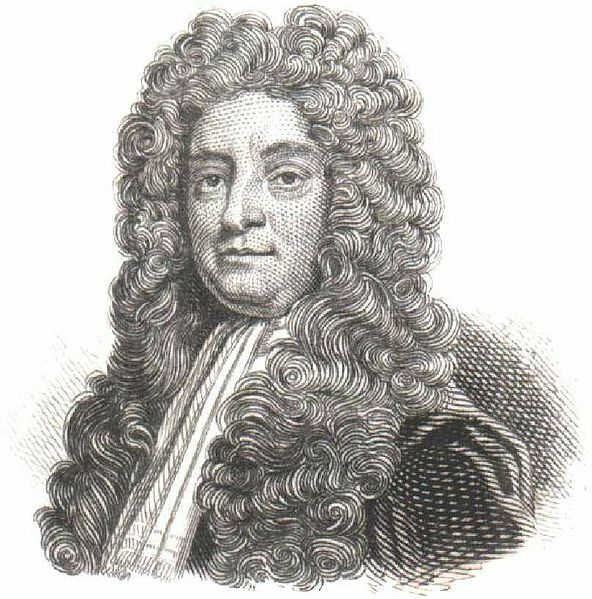 The son of a Pembrokeshire cleric and poet, Alban first matriculated from Oxford in 1708, became librarian of the Ashmolean museum, assistant secretary of the Royal Society and, if that wasn’t enough, obtained his doctorate in medicine from Aberdeen in 1719. 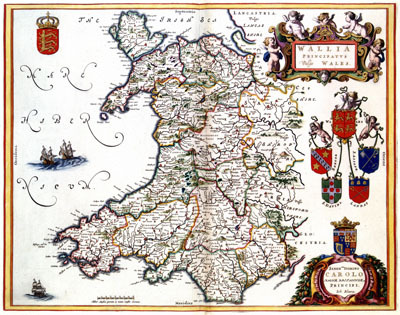 At a time when Wales was still a largely rural country, with no medical institutions of its own and fairly poortransport and road infrastructures, these were exceptional achievements for a boy from Newcastle Emlyn.Also unusual was that Alban appears to have returned to Wales to set up his medical practice; many Welsh practitioners who had trained in Oxford or London chose not to return, choosing the potentially more lucrative market of the larger English towns. 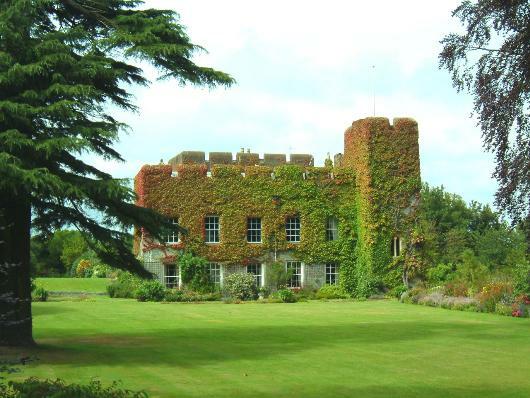 Nonetheless, especially in and around the growing Welsh towns, there was still a relatively wealthy Welsh elite to cater for and some, like Alban, positioned themselves to serve the denizens of large estates and houses. In November 1738, Alban Thomas wrote to Sloane regarding a patient, Sir Thomas Knolles of Wenallt, Pembrokeshire, who was causing him concern. Knolles, although “a person of great worth, candour and humanity” was also “a person of very gross habit, of body an unusual size and make and about 20 stone weight with an appetite to his meat but very moderate in his drinking”. Knolles enjoyed exercise but, due to his size, this was often done on horseback. At some stage, Knolles had become ‘dropsicall’ and suffered from swollen legs. The doctor used a combination of diuretics and tight, laced stockings to countermand this with, he reported, some success as Knolles returned to health, requiring only the odd purge as a ‘spring clean’. About four years previously however Knolles had begun to complain of a swelling in his scrotum, which Alban Thomas assumed to be hydrocele – a condition causing grossly swollen testicles (sometimes treated by injecting port wine into the testicles). After drawing off “about a quart of limpid serum” from the stoic Knolles testicles, followed by a dressing and strict recovery routines, the doctor hoped that he had cured the condition for good. This proved to be premature. When Knolles began to complain sometimes of not being able to pass urine at all, at others a few drops and occasionally losing his bladder control entirely, he took it upon himself to get a second opinion from an unnamed doctor in nearby Haverfordwest. This physician prescribed a ‘Turbith vomit’ which wrought well and even caused Knolles to void a stone about the size of a kidney bean. Rather than being put off by this occurrence, Knolles was encouraged and began to pester Dr Thomas to give him more of these treatments. Unimpressed and undeterred,Thomas decided on a more proactive course. After putting Knolles on a course of diuretic medicines, liquors and balsams for a week he brought in to his consulting room. What happened next highlights the particular horrors of early modern surgery. When Knolles arrived, Dr Thomas first applied a Turbith vomit, hoping that “so rugged a medicine” would clear the blockage without the need for more invasive procedures. It didn’t. In fact, the symptoms grew worse. It was at this point that Dr Thomas reached for his catheter and introduced it into the unfortunate Sir Thomas’s member. Expecting some resistance, he was surprised to find that the catheter went in without resistance. “On the contrary it seemed to force itself out of my fingers after passing the neck of the bladder as if it was sucked in, which I thought was owing to the pressure of his belly, the crooked end was now upward”. Yes, you read it right. The catheter was ‘sucked’ out of the doctors fingers and upwards further into the bladder! Now, any male readers may want to cross their legs! Concocting Recipes: The early modern medical home. It has long been argued that the early modern home was a medical hub. And, in many ways, so it was. Sickness was first and last a domestic experience. It was almost always treated in the home and, given the range of potential conditions, the presence of one or more sick members of the family was doubtless a fairly regular occurrence. In the main, it was women who were expected to take responsibility for medicating the household. 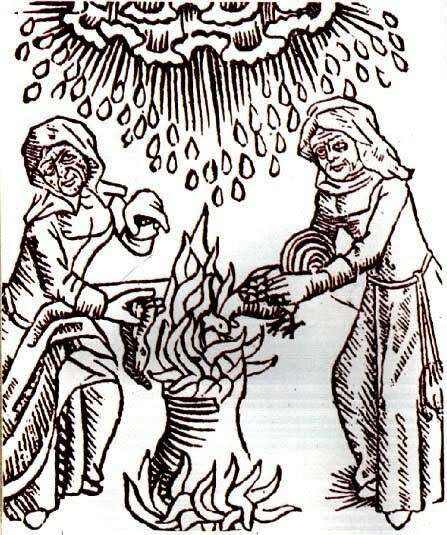 Women were assumed to be natural carers, and also to have acquired some skill in the preparation of medical recipes, and their application, by the time they reached the age of consent to marry. There were books dedicated to schooling literate women in the art of physick, many including what was effectively a ‘starter’s collection’ of remedies to enable them to treat a large number of common conditions. Indeed, medicine was part of the wider role of ‘housewife’, and ‘huswifery’ meant looking after the inhabitants, as well as maintaining the living space. The role of men in household medicine is far less defined. There were, for example, no books specifically written to help men cope in the case of domestic illness. And yet they clearly did cope. Diaries, such as those by Phillip Henry of Broad Oak in Flintshire, and Robert Bulkeley of Dronwy, Anglesey, both note sickness episodes of their wives, and suggest that they played a part in caring for them. It is also clear that men played a part in the acquisition of ingredients, often keeping records of where they found herbs for sale cheaply, or which apothecary they regularly purchased from. In this sense, medicine still fitted in to the patriarchal male family role, since it involved a broader input into the physical care and support of the family. One question that remains largely unresolved, however, is that of how well equipped the early modern home was to cope with sickness. The contents of domestic recipe books suggest not only that a very broad range of skills were needed to be able to concoct remedies, but also that a range of equipment would also be necessary. How well equipped were ‘ordinary’ homes to meet these needs? 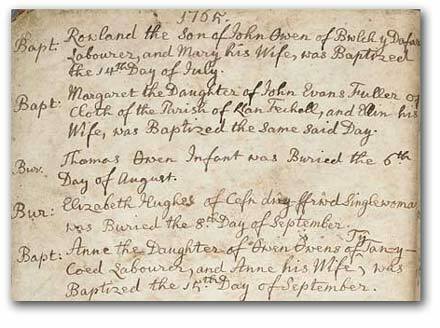 One body of sources that lets us peer back inside the early modern home are probate records. When a person died, the probate process often required a list of their household contents to be made to allow their estate to be valued. For the study of the material culture of this period, these sources are incredibly valuable. They are, however, often frustratingly vague, and all depends on the diligence of the individual surveyor. For example, a detailed record might list every individual possession, room by room, including furniture, ornaments, valuables, but also sometimes even book titles and foodstuffs held in storage. Much depended on the intrinsic value of the goods; if they had a resale value, they might be worth including. In less detailed inventories, however, a whole room might be listed under a single entry, with a generic term like ‘household stuff’. In terms of medical items, this causes a problem. Things like herbs and, perhaps, individual jars of ointments or medicines were too impermanent to list, so don’t appear in the inventories of ‘ordinary’ households and very seldom even in elite household inventories. Equally, finding any equipment that can be definitely be classified as ‘medical’ is problematic, since many had dual usage. Nevertheless, it is still worth speculating based on available evidence, to see if any hints about the material culture of domestic medicine can be gleaned from these sources. As a baseline test, over 91% of the inventories contained at least one item of kitchen equipment, including pots, pans, crocks and so on. Overall, the suggestion was that the vast majority of homes had at least the ability to concoct basic remedies. As Elaine Leong has recently noted, for example, boiling was needed in around 20-30% of early modern remedies. But what of more specialised equipment? The results were interesting. Out of 1248 inventories, only 148 (11%) had listed a pestle and mortar. Before 1635, there were no occurrences whatsoever, and a peak of ownership didn’t seem to occur until the early eighteenth century. Whilst this figure of 11% should definitely be taken as a bare minimum to allow for inevitable under-recording, this still seems surprisingly low. What was also clear, though, was that the item was more common in better-off households, and also in urban areas. The pestle and mortar would have been a basic utensil for grinding herbs and spices into powder. Whilst not owning one certainly can’t be used as evidence to say that a home wasn’t ‘medical’, its lack of appearance is still noteworthy. Turning to the ‘still’ or ‘limbeck’ the results were even more striking. A still was a multi-purpose item, which could be used for home brewing, as well as the distillation and fermentation of substances for medical recipes. It has recently been calculated that around 10% of remedies required a still in this period. Despite this, the Glamorgan inventories yielded a total of only 41 references in 1248 inventories, giving an average of less than 3%. Here again, ownership was general limited to wealthier households. It is also worth noting (albeit perhaps unsurprisingly as noted earlier) that no inventories contained any reference to medical remedies, ingredients or substances, and only a bare few contained items which could be construed as ‘medical’, such as a blood dish in one home, and a ‘nurseing chayre’ in another. What do these results tell us? 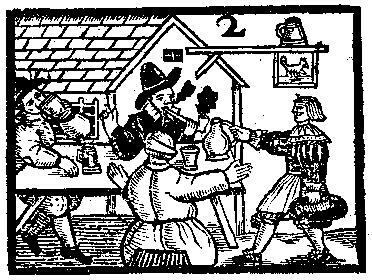 They certainly don’t tell us that early modern homes did not manufacture their own medicines, nor that they were incapable of doing so. Even the most basic of utensils could be used in this process, and the majority of homes possessed these. They also don’t reveal much physical evidence of medicine, such as a ‘storehouse’ of remedies or ingredients, but this is, in many ways, entirely logical. Medicine was transitory and pragmatic. Recipes were often concocted as and when needed. Some, like ointments, could last for years and be kept, but many were too impermanent to keep. Also, just because they weren’t listed, doesn’t mean they weren’t there. Whilst some historians are beginning to question the extent to which each household physically grew its own herbs, it’s plausible that many did. But what is also interesting is the availability of ingredients for remedies in even the smallest rural shops. People could purchase exotic herbs and spices from their village shop, as well as compound remedies such as plague water and Venice Treacle. It is entirely possible that the extent to which domestic production was intertwined with the medical marketplace has yet to be appreciated. 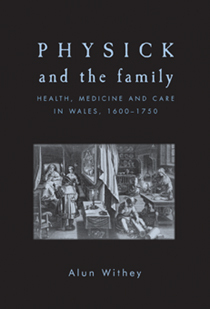 In any case, there is a need for more studies into the material culture of early modern domestic medicine. If the early modern home was indeed a medical hub, a wider study should give us a broader understanding not only of what medicines people used in their homes, but how they made them.